A star coached by George Johnson at Howard High School and one of the finest school-boy track men from Delaware in the 1950’s. Marshall won the State High School Championship at 880 yards twice and set a State Record of 2:00 flat in 1957. 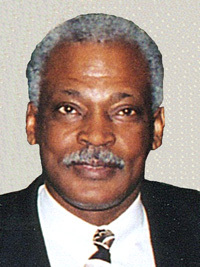 He was a member of the fine Howard mile relay team that won the championship in 1955 and 1956 at the Penn Relays. Dickerson was the first Delaware high school runner to consistently run the 880 around the 2 minute mark. Later, Marshall attended the University of Michigan and ran the quarter in 47.2 and the 600 yards in 1:12.2. He competed throughout the Midwest for the Wolverines including the Penn Relays, Ohio State Relays, Cleveland Relays, Chicago Relays, and the Los Angles Relays.